I arrive on the coast of Normandy by boat at dawn. Across the water under the cover of darkness, the journey takes all night. I woke up early and now, standing on the deck as we pull into shore, the wind blows cold in my face. The sky is covered with clouds and there is just a blue glow as the sun tries to battle through as it rises. The air is fresh and I’m excited about arriving in France – but there is something almost deathly about the atmosphere this time of the morning. It was on a morning in early June of 1944, not too dissimilar to this, that the Allied troops arrived on this same coastline. Although it was about two months closer to summer than the day I’m arriving, a weather system called the Azores High was creating a high pressure zone in the Altantic that meant storms here in the channel between England and France. D-Day, on June 6 of 1944, was actually supposed to have happened the day before. If you’re a student of history, you will probably know that it was delayed by 24 hours because the weather was too bad. When the attack did go ahead, the conditions were only marginally better. And so my arrival gives me the first taste of D-Day, one of the things I’m coming to France to learn more about. I slept well in a cabin on board Brittany Ferries from Portsmouth, while the troops spent up to 17 hours on a small boat filled with the stench of seasickness. The situations are hardly comparable but there’s one important thing I’m about to learn in Normandy: Along a beautiful coastline with charming towns and modern tourist facilities, it’s still easy to use your imagination and get a sense of the bloody campaign that began the end of the Second World War. Although we usually refer to ‘D-Day’ as June 6, it was only the beginning of the campaign in Normandy. There were 100 days before the mission was completed here and the next phase could go ahead in earnest. But there is no doubting how critical this particular day was in the history of the 20th century. By the end of June 6, with a partly sunny sky and a temperature of about 15 degrees Celsius, the Allies had landed along a stretch of coastline almost 90 kilometres long. About 140,000 troops were now onshore. Thousands were dead and not all the beaches were secure, but a crucial foothold had been established. Within a year, the war would be over. 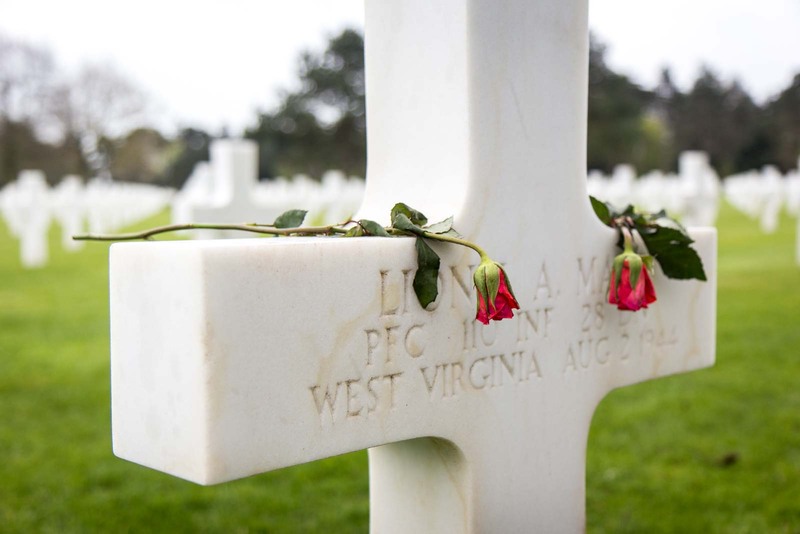 Today, there are 42 official sites in Normandy related to D-Day and the Battle of Normandy. You may expect that most of them would be along the coast but remember that this was a campaign that went for more than three months, as troops gradually made their way inland to take cities like Caen and reinforce the Allied position. I have only one day to see some of the locations that are left from the battle 71 years ago – and the memorials and museums that have been established since. It becomes apparent very quickly that this is not nearly enough time. As I learn more and start to see some sites for myself, I realise you could spend at least a week delving into the history and still not have seen anything. I wonder how long the true history buffs spend in Normandy. 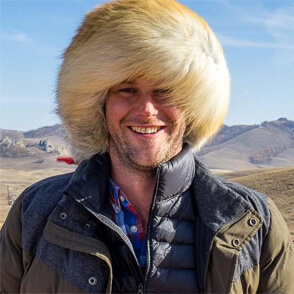 A week? Two weeks? Perhaps I would not be able to last quite that long – but I know one day is too short. Regardless, I manage to visit four sites along the French coast, each of which presents a different view on the battle here. I’m pleased with the selection, which shows the story from the perspective of the British, American, German and French. Let me tell you briefly about each of them. This museum has been developed on the site of the Bénouville Bridge, which was a key strategic target on the morning of D-Day. It was going to be needed for the movement of the Allied troops arriving on the beaches and heading inland. The fear was that the Germans would destroy it when they realised what was happening, so stealth and speed was imperative. 180 parachutists and troops in gliders landed here within metres of their objective and took the bridge within ten minutes. The forces that took the bridge were all from the British 6th Airborne Division and the museum here is a tribute to them and their stories. The bridge itself was renamed Pegasus Bridge on June 26 1944 in honour of the winged horse that was the emblem of the division. When French authorities replaced the actual bridge with a new one in 1994, the original was moved to the museum. It is an excellent museum with artefacts from the operation and the men and women who were part of the division. The British curator, Mark Worthington, has made an effort to collect stories from all sides – but the emphasis is on the role of the British forces. My next stop is the seaside town of Arromanches, which was a key location in the Battle of Normandy. Although it was one of the places that the Allies landed on D-Day, the fighting here wasn’t as intense as other areas. Partly because of this, it was chosen as the site for a temporary harbour to bring troops and supplies across from England. In the 100 days that it was in use, 2.5 million men, 500,000 vehicles, and 4 million tons of material were brought through Arromanches. It is a beautiful little town and popular with tourists these days. Although I imagine it would be an interesting place to visit on its own, it also has some great D-Day sites. 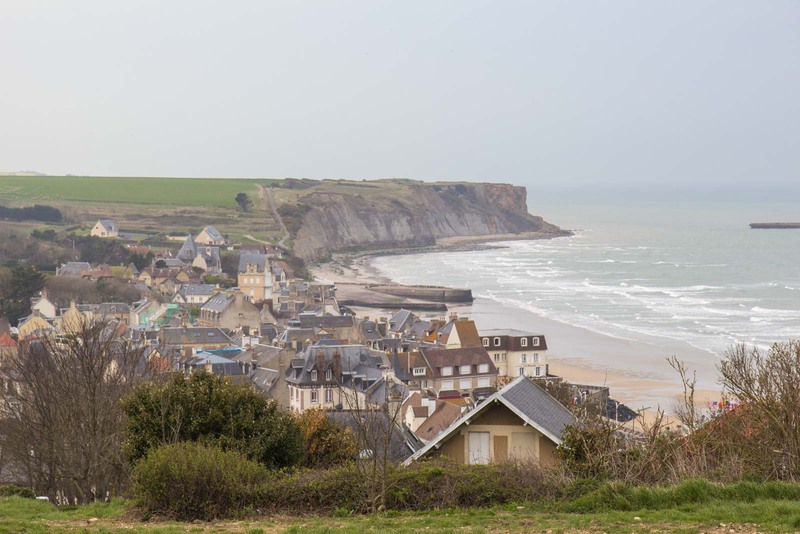 Up on one of the clifftops is a 360 degree movie cinema that plays a stirring 20 minute movie that, using archival footage, gives an excellent impression of the time from D-Day through to the liberation of Paris. There is also the Museum of the Landings, which has exhibitions and information about the role of Arromanches in the war. It was the first museum to be built after the conflict and was opened in 1954. From the coastline of Arromanches, you can also see some metal and concrete blocks in the water that are remnants of the old harbour. They may be more than 70 years old, but they help to immediately transport you back into the past. This old gun battery on the edge of Longues-sur-Mer is just a short drive from Arromanches. It was built by the Germans in early 1944 as part of their Atlantic Wall coastal fortifications. It had four huge guns to defend from an attack by sea, as well as a command post, shelters and some smaller machine-gun spots. Although the Allies tried to bomb the gun battery in the night before the D-Day landings, the weapons survived and the Germans were able to fire 170 shots at the approaching ships. Eventually it was British navy ships that took out the gun battery later in the day and the German crew surrendered on June 7. The site is still in relatively good condition, considering the military pounding it received. The concrete structures housing the guns and the shelters are still mainly intact and you can walk right up to them. It’s easy to think of a battle as facts and figures. A total number of dead. Which side lost more. But those numbers are made up of a series of ones. Every person killed in war had their own story, interrupted too soon. At the American Cemetery in Colleville-sur-Mer, this hits home. 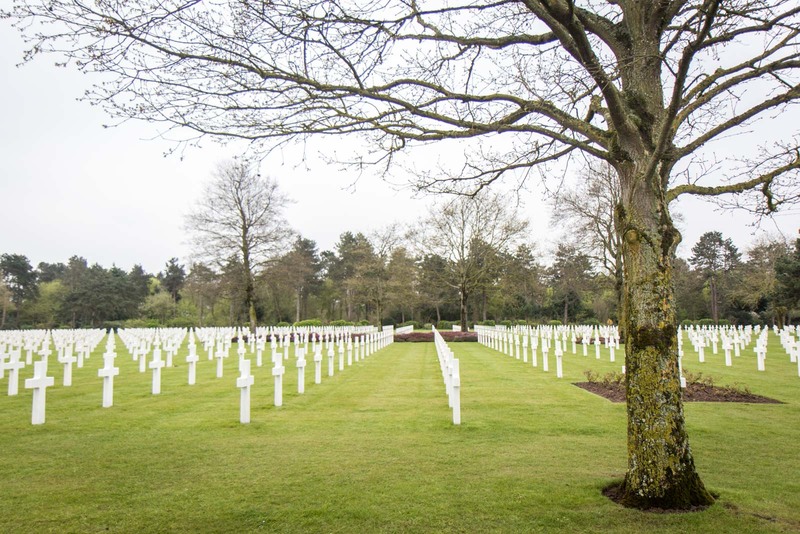 There are almost 10,000 graves of US citizens who were killed during the Battle of Normandy. On top of that, about 1,500 names have been written on the ‘Walls of the Missing’. The cemetery site is enormous and it’s painful to see how the small white crosses stretch out across the grass. They seem to just endlessly go on and on, bringing a physical representation to the huge losses that were suffered along this coastline. Of course, tens of thousands more people were killed during those 100 days of fighting. The American Cemetery is beautifully designed with a reflecting pool and memorial buildings along a central axis. It is also possible to look out at the view over Omaha Beach where so many of the people buried here would have landed. There’s something comforting knowing that their final resting place is so serene and well maintained. 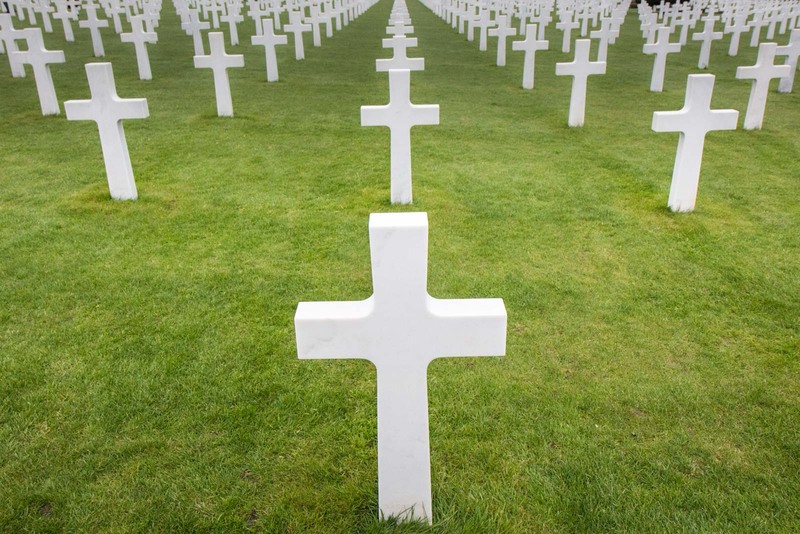 The Allied men and women who died or were wounded in the D-Day campaign in World War Two were fighting to make this world a better place. Many of the German troops who died here were, presumably, wishing they were somewhere else as well. It’s hard for me to understand what this period of history would have been like and what those involved on the ground must have felt at the time. However, this small taste of the memorials and monuments has helped. And it has given me a desire to learn even more, to try to make sense of this blur of little white headstones that stretch out from the coast of Normandy. Time Travel Turtle was supported by Atout France but the opinions, over-written descriptions and bad jokes are his own. I’m curious about the logistics of visiting the D-Day sites from Paris. We’re currently in Provence, an will be heading up to Paris in a few weeks. We are hoping to give up our car in Paris, but might retain it to do a short trip down the Loire Valley. Can you lend a hand about the logistics reagrding visiting from Paris? Love to hear back. 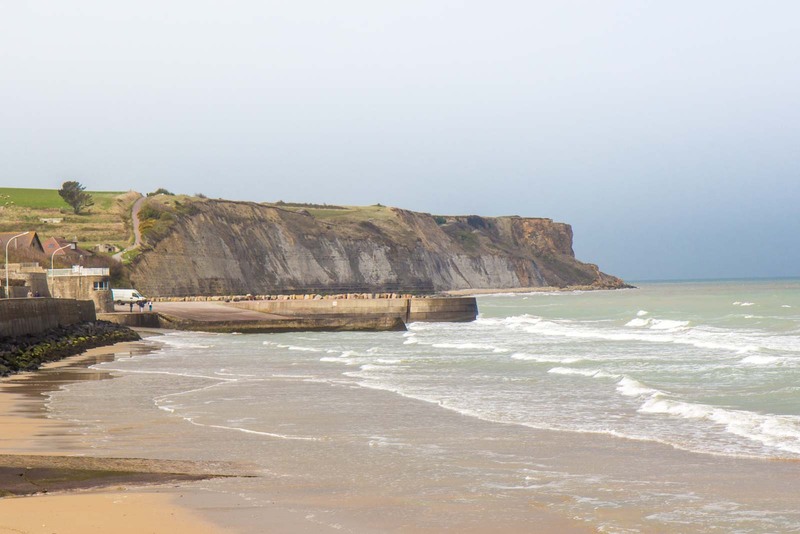 There are lots of places in the Normandy area you can base yourself to see D-Day sites. I spent the night in Bayeux, which was a lovely place and has some other things to see. It’s about 3 hours drive from Paris. So you could go down in the morning and head back the following night and see a few sites in the time in between. If you have the time, give yourself two nights so you can see a bit more and also be a bit relaxed about it. I stayed at a place in Bayeux called Hotel Poppa which I would highly recommend! What a shame after all the men that died during that war to see destruction still happening throughout the world. I know exactly what you mean. Why can’t we learn from the mistakes of history? Sadly I think it is human nature to start conflicts and there will probably never be a world without war. Not until the planet gets rid of humans, that is. Thank you. Yes, it is so important to remember. Not just because of all the men and women who died but because of all the men and women who will die if something like this happens again. The duty of remembrance is really important. Thanks for this post. Remembrance is so important. And so is understanding. It should be compulsory for all students to learn more about – and really understand – the truth about war. I really hope to get here one day. The effect that this conflict had all over the world continues to astound me. It’s so easy to say “lessons must be learned” but so hard to work out exactly what those lessons are and how people can keep learning them! Exactly. 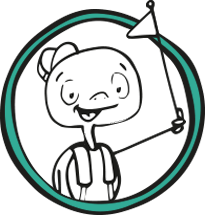 I feel a bit foolish when I talk about “lessons learned” because there have been plenty of other opportunities in history to learn from our mistakes, yet we keep doing things that destroy the world. But perhaps not everybody looks at sites like these and thinks about how to be a better person?